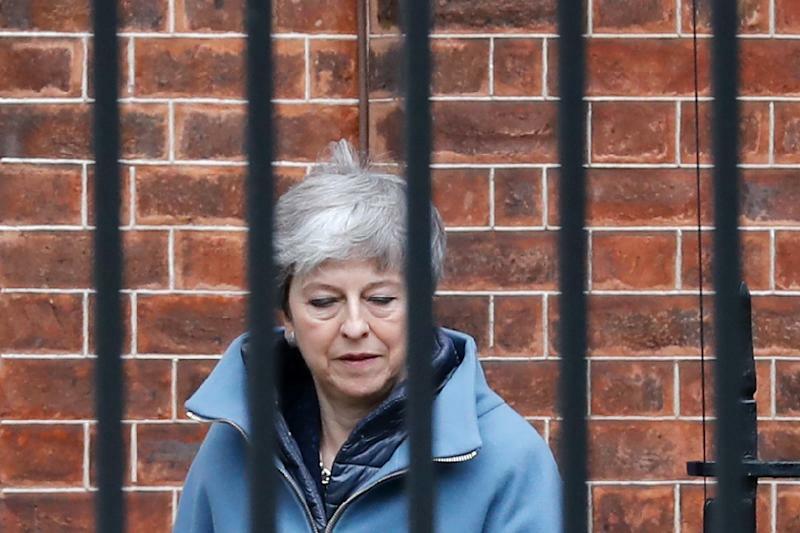 Brussels (AFP) - A dogged but isolated Prime Minister Theresa May headed back to Brussels on Thursday to beg for more time to deliver her Brexit plan, but EU leaders are likely to refuse her request for a three-month postponement. Instead, as the 28 heads of government meet for their spring summit, they will tell her that if she can win over British lawmakers to back her withdrawal agreement next week, she can have until May 22 to get Britain's house in order. And if the withdrawal agreement is rejected again, an emergency summit could be called next week to agree a longer extension until at least the end of 2019 -- otherwise Britain's four-decade-year-old European adventure will come to an abrupt end on March 29. Time is tight, but there will be no final decision on a Brexit date in Brussels on Thursday, and May seemed only to have hurt her own efforts to persuade more MPs to back the withdrawal agreement when she blamed them for the impasse in an eve-of-summit speech. "All MPs have been willing to say is what they do not want," she complained, in a televised address that sought to reach over the heads of parliament to the British people and infuriated lawmakers on both sides of the House of Commons. "I passionately hope MPs will find a way to back the deal I've negotiated with the EU, a deal that delivers on the result of the referendum and is the very best deal negotiable," she said. 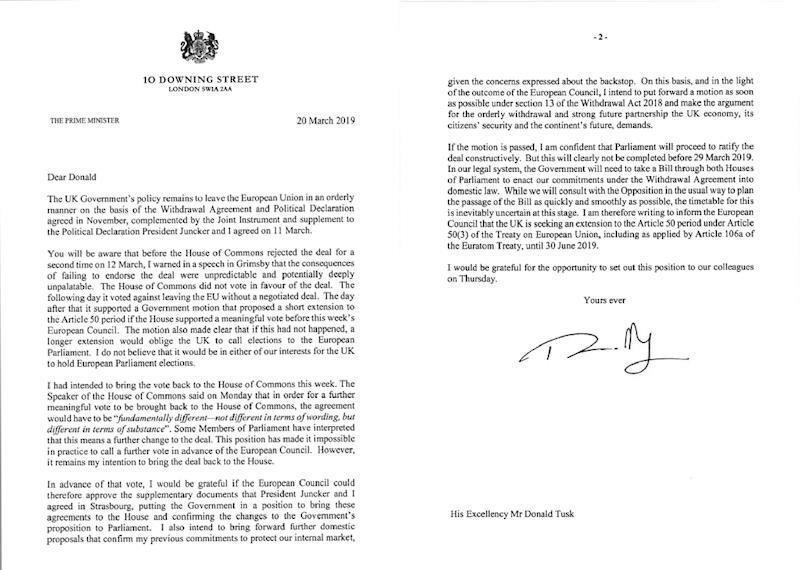 May wrote to EU Council president and summit host Donald Tusk on Wednesday to ask for a three-month delay of Brexit until June 30. But EU diplomats said the consensus was that Britain would either have to leave before the May 23 European election or take part in the vote and stay in the bloc until at least the end of the year. "Reports that most are for a short extension up to the elections are not wrong," an European diplomat said as the leaders gathered in the city. "A large majority assembled around May 22 to 23, because it is the cleanest (option) legally." Another diplomat said that the May date was not set in stone, but that "a majority of member states said 'no' to June 30." Any delay to Brexit day would need to be approved unanimously. May has insisted that she will not oversee a long delay, which would increase pressure at home for a general election or for a second Brexit referendum that might reverse the decision to leave. "You want this stage of the Brexit process to be over and done with this. I agree. I am on your side," May told voters, blaming MPs opposed to her Brexit plan. She insisted she was requesting a delay until June 30 with "great personal regret". Tusk, meanwhile, admitted that European leaders are suffering "Brexit fatigue". He said he feared his hopes for an orderly Brexit agreement with the agreed plan in place to prevent economic and political chaos may prove "frail, even illusory." 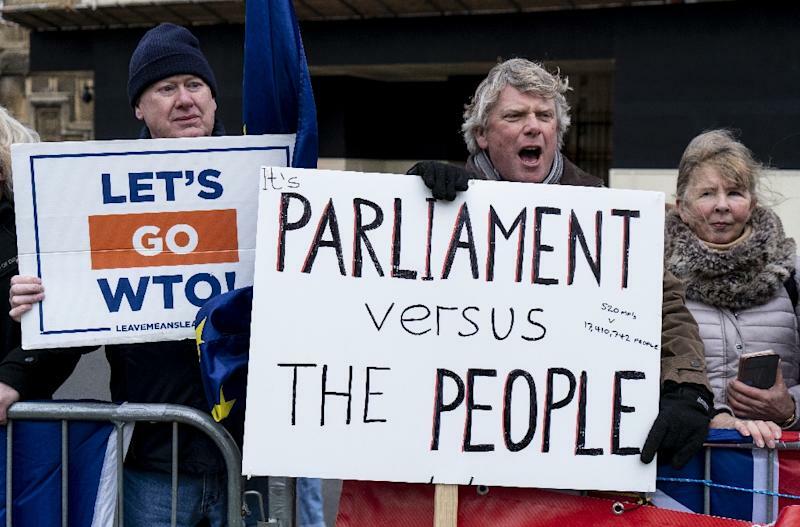 British lawmakers have twice resoundingly rejected May's agreement, and a third vote the premier hoped to hold this week was cancelled by the House of Commons speaker on procedural grounds. Nevertheless, Tusk was clear that Europe wants May to try again. "In the light of the consultations I have conducted over the past days, I believe a short extension will be possible but it will be conditional on a positive vote on the withdrawal agreement in the House of Commons," Tusk told reporters. May is hoping a third vote could be admitted despite the speaker's decision, if she can formalise some guarantees that EU officials attached to the agreement last week. Britain faces the potentially catastrophic prospect of leaving its biggest trading partner with no arrangements in place. May's team tried to engage senior members of the opposition, hoping to bring enough members on side to pull her deal through. Labour leader Jeremy Corbyn will also be in Brussels on Thursday for talks with EU negotiator Michel Barnier.